5 Star Hotels Koh Samui. 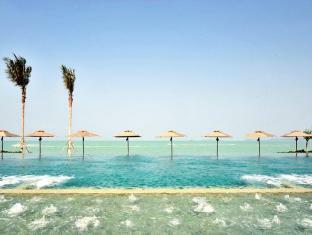 Koh Samui Hotel Deals Save Up to 75%. Ideally located in the prime touristic area of Bang Por, Four Seasons Resort Koh Samui promises a relaxing and wonderful visit. The hotel offers guests a range of services and amenities designed to provide comfort and convenience. Free Wi-Fi in all rooms,...Read More. 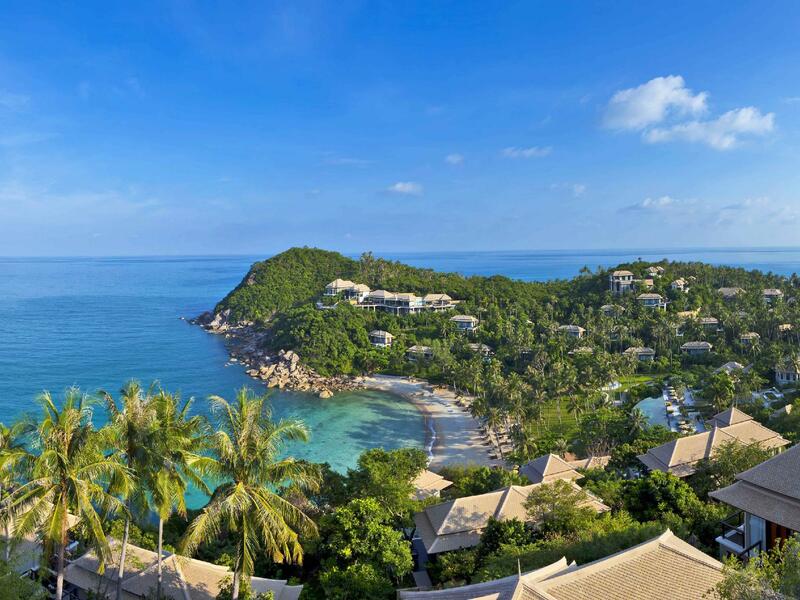 The 5-star Banyan Tree Samui offers comfort and convenience whether you're on business or holiday in Samui. The hotel has everything you need for a comfortable stay. Take advantage of the hotel's babysitting, car hire, library, BBQ facilities, newspapers....Read More. 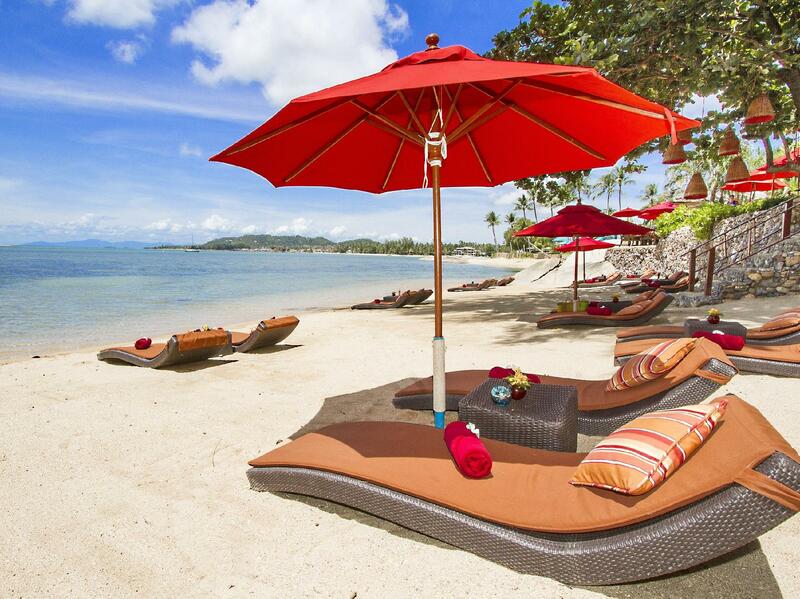 W Retreat Koh Samui Hotel is a popular choice amongst travelers in Samui, whether exploring or just passing through. Both business travelers and tourists can enjoy the hotel's facilities and services. Wi-Fi in public areas, meeting facilities, smoking are...Read More. The 5-star Vana Belle A Luxury Collection Resort Koh Samui offers comfort and convenience whether you're on business or holiday in Samui. Both business travelers and tourists can enjoy the hotel's facilities and services. To be found at the hotel are free...Read More. The Library Hotel is a popular choice amongst travelers in Samui, whether exploring or just passing through. The property features a wide range of facilities to make your stay a pleasant experience. All the necessary facilities, including free Wi-Fi in al...Read More. Rocky's Boutique Resort is a popular choice amongst travelers in Samui, whether exploring or just passing through. Featuring a complete list of amenities, guests will find their stay at the property a comfortable one. Service-minded staff will welcome and...Read More. Stop at Hansar Samui Resort to discover the wonders of Samui. The hotel has everything you need for a comfortable stay. Take advantage of the hotel's room service, concierge, laundry service, restaurant, babysitting. Each guestroom is elegantly furnished...Read More.